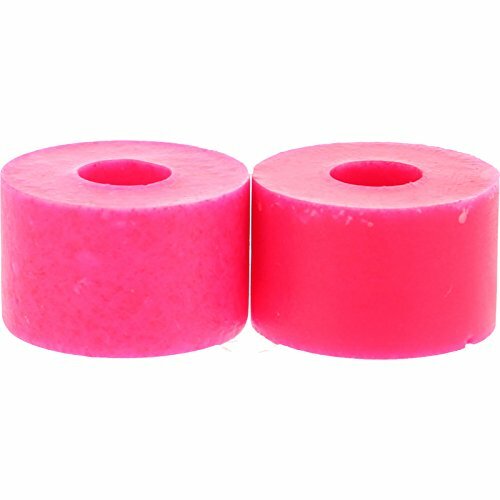 These 97a Venom Downhill Skateboard Bushings will keep your skateboard trucks flexible and adaptable. Made by Venom from high-quality materials, they provide flexibility and easy adaptability for your skateboard trucks. The typical skateboard truck has two bushings on each truck, one that keeps the truck springy for easy turns and a smaller one beneath the kingpin that is easily tightened or loosened to adapt to your style. Tighter trucks work best for mastering tricks while looser trucks are best for carving down the street. Venom Downhill Skateboard Bushings give you the best ride every time - hands down! Be sure to change your bushings frequently in order to keep your skateboard responsive to your personal skateboarding style.Includes: One (1) Venom Downhill Skateboard Bushings from Venom. If you have any questions about this product by Venom Bushings, contact us by completing and submitting the form below. If you are looking for a specif part number, please include it with your message.